The live-in partner of slain SPO1 Adonis Dumpit was his closest link to the illegal drug trade in Tagbilaran City, said Atty. Renan Oliva, National Bureau of Investigation (NBI) Bohol chief. According to Oliva, Ma. Ella Amores, Dumpit’s live-in partner used to be the live-in partner of Nico Mascariñas, alias “Tatay Hiwi,” an alleged drug lord who was arrested in a raid conducted by joint police operatives armed with search warrants for possession of illegal drugs and firearms back in September, 2013. Mascariñas and Amores lived together in the same house where Dumpit and Amores had been residing in Barangay San Isidro, Tagbilaran City. The house is owned by Amores but it had also been the home of Dumpit after Mascariñas, said Oliva. 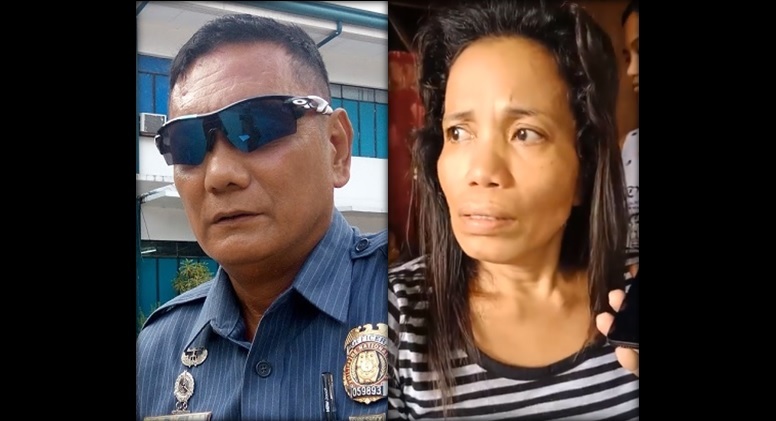 Mascariñas was arrested in the same residence by police operatives who raided the house by virtue of search warrants for drugs, firearms and a carnapped motorcycle. The authorities found 50 grams of shabu during the raid, said Oliva. “Tatay” and “Nanay” are common references accorded to “drug lords” or “drug queens” by their underlings or “downliners,” said Oliva. Authorities including Oliva speculated that Dumpit, who was convicted of a homicide charge, may have been acquainted with Mascariñas when he was incarcerated at the Leyte Regional Prison in Abuyog, Leyte. Mascariñas, an alleged drug lord in Eastern Visayas, was said to have been connected with self-confessed drug lord Kerwin Espinosa who is now under government custody. Oliva said that Mascariñas was recently released on probation after entering into a plea bargaining agreement for his drug case. He was also charged with carnapping and illegal possession of firearms but these were dismissed. Authorities are now looking into the involvement and the connections of Amores in the alleged drug network of Dumpit, added Oliva. During his recent reassignment in Bohol last June 13, Dumpit was already believed to have organized a system wherein he distributed to his dealers shabu which he got from his supplier. Police operatives said Dumpit was frequently seen at the four-story building owned by controversial Boholano businessman Boy Enerio who was shot dead right outside said establishment in 2016.